PARTNER NEWS: Digital security giant Gemalto is to provide its mobile payment solutions to Dai Nippon Printing (DNP), an NFC technology supplier and solution provider for financial institutions in Japan. 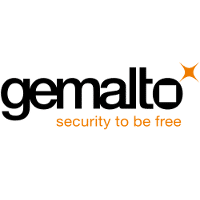 “DNP will operate Gemalto’s solutions, enabling its customers in the payment segment to easily deploy tokenized mobile NFC services leveraging available mobile wallets and security frameworks,” Gemalto says. AMSTERDAM, The Netherlands, Oct. 15, 2015 — Gemalto (Euronext NL0000400653 GTO), the world leader in digital security, will provide its mobile payment solutions to Dai Nippon Printing (DNP), a leading NFC technology supplier* and solution provider for financial institutions in Japan, to realize secure mobile transactions. DNP will operate Gemalto’s solutions, enabling its customers in payment segment to easily deploy tokenized mobile NFC services leveraging available mobile wallets and security frameworks. Gemalto’s solutions provide complete end-to-end services, from real time enrollment and token issuance to secure provisioning of payment credentials on end-users’ smartphones. Japan is one of the most advanced markets for mobile shopping, with 60% of eCommerce expected to happen via mobiles by the end of 2015**. Contactless payments are widely used in public transport, restaurants, and retail stores. The heavy influx of newer smartphones is now driving the rollouts of international NFC standards within the country. Gemalto’s turnkey solution will bring an autonomous and yet flexible solution to DNP’s customers, allowing them to reach consumers across a comprehensive range of devices and networks. Gemalto’s unique technology portfolio – from advanced cryptographic software embedded in a variety of familiar objects, to highly robust and scalable back-office platforms for authentication, encryption and digital credential management – is delivered by our world-class service teams. Our 14,000 employees operate out of 99 offices, 34 personalization and data centers, and 24 research and software development centers located in 46 countries. For more information visit www.gemalto.com, www.justaskgemalto.com, blog.gemalto.com, or follow@gemalto on Twitter.